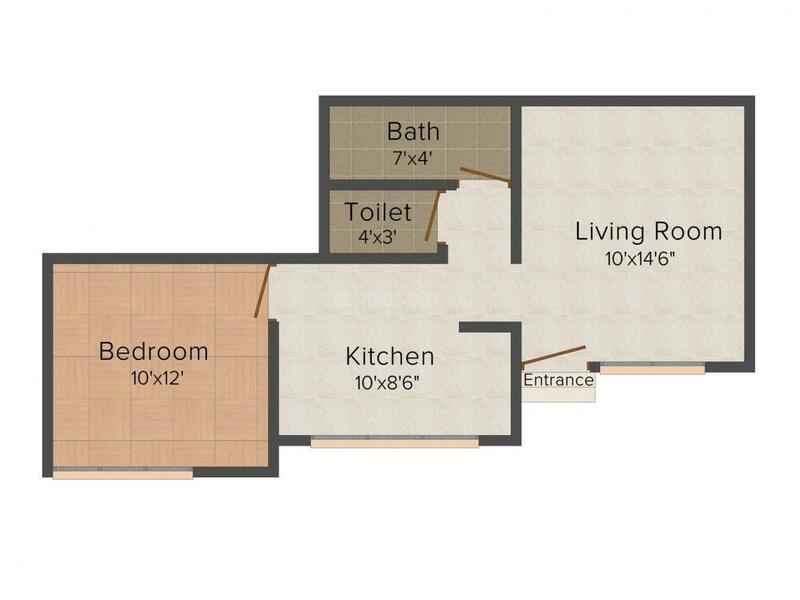 660.00 sqft. 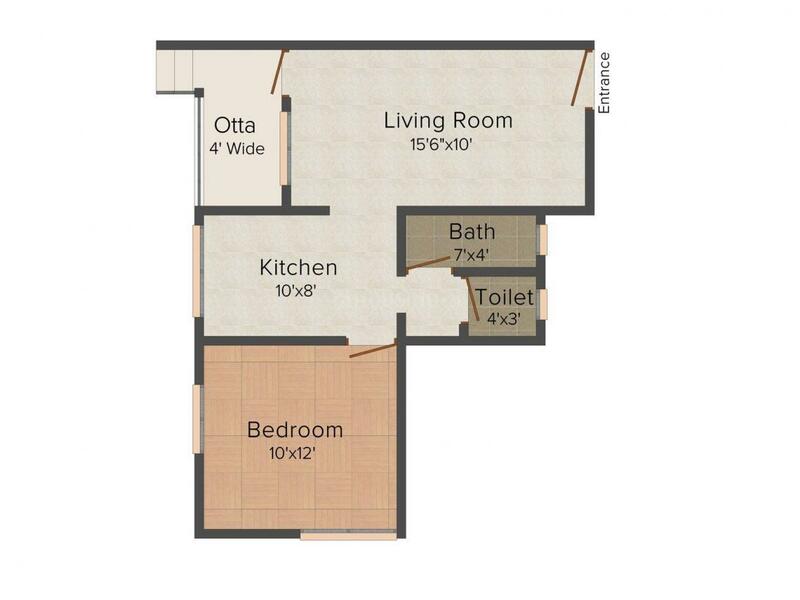 - 1075.00 sqft. 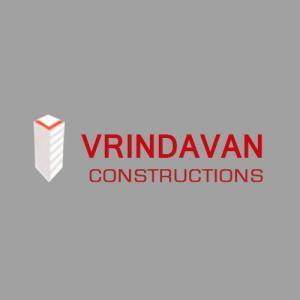 Vrindavan Residency is everything that you ever wanted in a home. It is an apartment structure where you get homes that provide you with comfort and convenience and apart from it, it is the elegance and the beauty of the structure that will make you come back home. The residential project offers you a scenic view from your home and you will be happy to be away from the chaos of the city, yet have easy access to the rest of the city. The interiors are well matched up to the exteriors and provide a sense of belonging and comfort. Enjoy the spacious rooms and a well planned apartment where you can live conveniently with your family members. The exteriors too are well planned that suit your personality and match up to your style. If you want to live in elegance and within your comfort zone, then you have to make it your home. Saleable Area : 660.00 sqft. 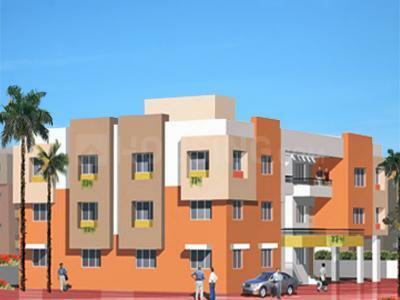 Shri Ram Colony in Nashik is an upcoming locality with many development projects coming up and is rapidly changing for the good. The location is perfect if you want to have it as a residence address. The colony is close to various strategic locations and enjoys good connectivity access by important roads. One of the main roads that run closely to the location is the Mumbai – Nashik highway that is very important and also takes you to other places in the city as well as outside. The Veer Sawarkar Marg is also a short distance away from the location. The Ambad Police station is also very close and that makes it a secure place as well. There are various establishments as well that can make your life convenient here. Parks, hospitals, banks and other establishments can be found a few kilometers away from the location.